If you’re coming to Tenerife for a short period or don’t want to do more than one day tour in the island there’s a perfect solution for you – every Wednesday Tenerife Host offers Teide & Loro Parque – bus day tour. Majestic volcano Teide and amazing Loro Parque are not all the “Must See”attractions on the island, but are ones of the most important. Loro Parque located in Puerto de La Cruz is counted as the best zoological garden in the world and, especially, if you travel with children, it’s absolutely must visit attraction in Tenerife. 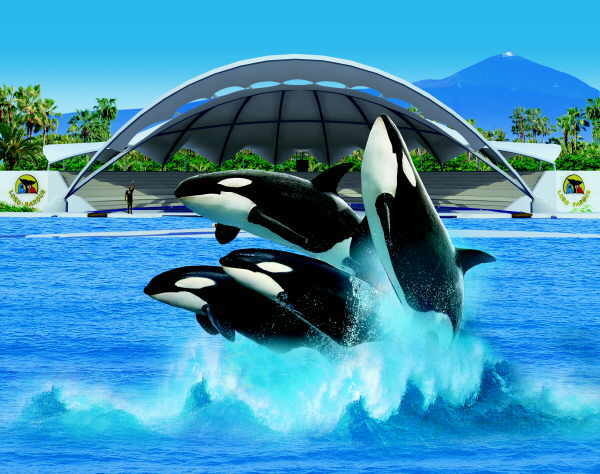 Loro Parque is not just a zoo, it is also place where you can watch the best shows in the world, made by animals. Especially we recommend Orca Show (show made by killer whales), Dolphin Show and full of humour Sea Lions Show. Your ticket for the bus day tour to Teide & Loro Parque includes entry ticket to Loro Parque with access to all the attractions of this wonderful kingdom of animals. And Mount Teide is the highest peak of Spain, the highest point of Atlantic and the Teide National Park is the biggest single volcanic crater in the world and with our Teide & Loro Parque day tour by bus you will visit this strange place where you can see the scenery form other planets. 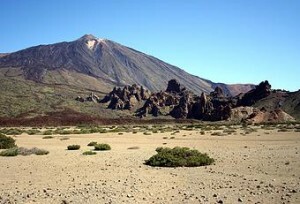 Teide is also third biggest volcano on the island in the world, very popular destination for hiking and trekking tours in Tenerife and absolutely must visit place in Tenerife. We have 12 main pick-up points in following location: Nr 1 – Los Gigantes, Nr 2 – La Arena, Nr 3 – Alcala, Nr 4 – Callao Salvaje, Nr 5 – Playa Paraiso, Nr 6 – La Caleta, Nr 7 – Costa Adeje, Nr 8 – Costa Adeje, Nr 9 – Costa Adeje, Nr 10 – Costa Adeje, Nr 11 – Las Americas, Nr 12 – Los Cristianos. If your hotel is located in one of these towns it’ll be rather just walking distance from your hotel and after you book the bus sightseeing tour, with your bus tour ticket we will send you also a map clearly showing the way from your hotel to the nearest collection point. If you plan to take Teide & Loro Parque – bus day tour, please, book at least a month in advance, because we do the tour just once a week and number of places in the bus are limited to the bus size. What’s the best bus tours combination to see Tenerife island well?